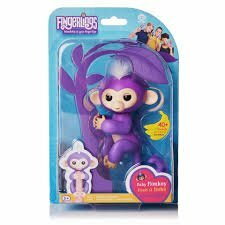 Mia fingerlings interactive baby monkey with bonus stand. Over 40 ways to play by wow wee. Fingerlings respond to sound, motion, and touch with blinking eyes, head turns, and silly monkey babble.